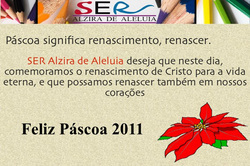 Happy Easter from SER Alzira de Aleluia! Fun for all during the summer holidays! With the mercury continuously reaching 40 degrees summer in Rio de Janeiro has been exceptionally hot this year. However SER Alzira de Aleluia offered the perfect antidote to the heat: a week of fun activities including face painting, sports, IT classes and drawing and journalism workshops. 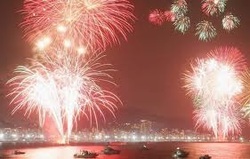 Prospero Ano Novo Para Todos! We would like to wish everyone a happy new year and we hope that 2011 is the year of success, happiness and health for all the supporters of SER Alzira de Aleluia. 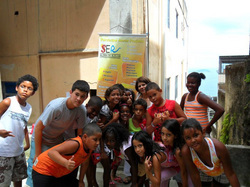 SER Alzira de Aleluia hopes that 2011 will allow us to help yet more members of the community of Vidigal, to raise aspirations and provide opportunities so that everyone has the better future they deserve. On 18th December 2010 SER Alzira de Aleluia held their annual end of term party to celebrate the end of another year full of success and achievement. This year the children were treated to a surprise visit from Father Christmas, who talked to all the children before giving out lots of presents. These were all donated by the Hotel Sheraton which is situated on the main road that leads up to Vidigal, so we would like to take this opportunity to thank the Sheraton for their help on support. 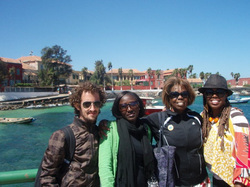 The First International Forum of Vidigal was held on 19th November and 20th November 2010. With the help of international academics from all over the World, the important issue of sustainable development within low income households was discussed. 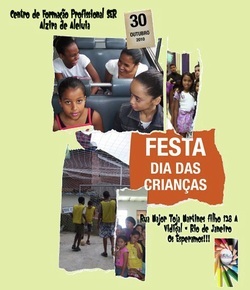 On 30th October 2010 SER Alzira de Aleluia will host a party to celebrate Dia Das Criancas / Children's Day. 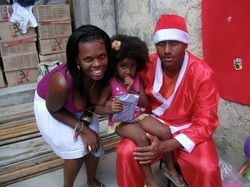 All children of the community of Vidigal are invited and will receive a special present. The festivities will include speeches and presentations by pupils and staff, games and of course cake! On November 19th SER Alzira de Aleluia will hold it's very first International Forum, the theme of which will be Sustainable Development for Low Socio-Economic Families. The objective of this forum is to introduce a discussion of sustainable development within our community, thus involving the local population, academics and members of the public sector in discussions and promotion of solutions for our local problems. The forum has already confirmed the attendance of Professor Doctor John Stenddil of Indiana State University, USA and Professor Doctor Maria Helena Zamora of the Pontifica Catholic University (PUC), Rio de Janeiro. This forum is an exciting opportunity to spread the word about the work of SER as well as to discuss ways of improving local opportunities within in the community. If you would like to take part in the forum, please e-mail seraasara@yahoo.com for more information. In celebration of the International Day of African Caribbean Women, SER Alzira de Aleluia's president Elma de Alleluia was honoured by the State Council for Women’s Rights for her work in Vidigal. 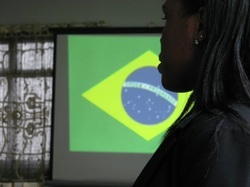 On 30 July 2009 the State Council for Women’s Rights celebrated the International Day of African Caribbean Women with a ceremony that paid homage to various women who defend the rights of Afro-Brazilian women by promoting education, health, religion and culture through social projects. 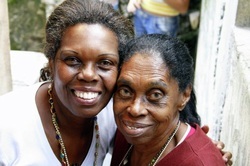 Elma de Alleluia was honoured in recognition of her work defending the rights of Afro-Brazilian residents in the community of Vidigal through management of the NGO SER Alzira.